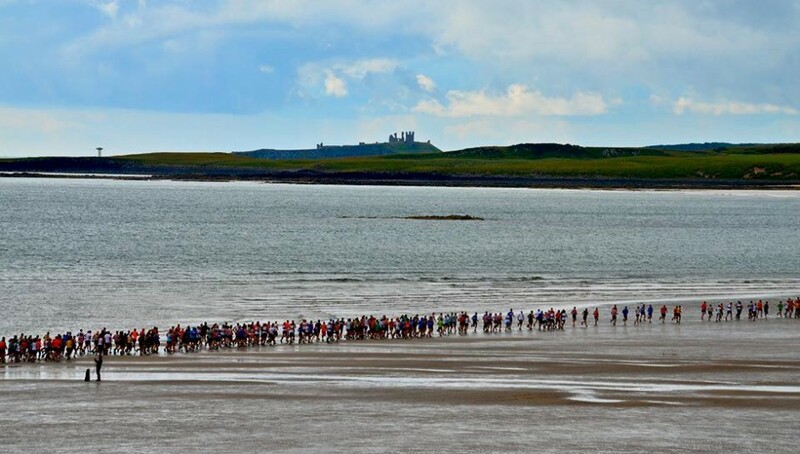 The Minors Cross Country Championship provides young runners aged 8 to 11 an opportunity to compete in a team competition against other clubs and schools in the region. Alnwick Harriers only fielded one complete team this year at the event in Jarrow on Sunday but the Year 6 girls had a good race lead home by Molly JOHNSTON. She was followed by Tess HINDMARSH, Tamsin HUTTON STOTT and Ava FINDLAY. Harry KNOX had an excellent race finishing in 5th place in the Year 6 boys competition, an excellent effort following his success on the previous day at Alwinton Show. In the Year 5 girls race Louise SYERS and Jess WHALTON ran well together with Louise finishing just ahead after a final sprint for the finish. 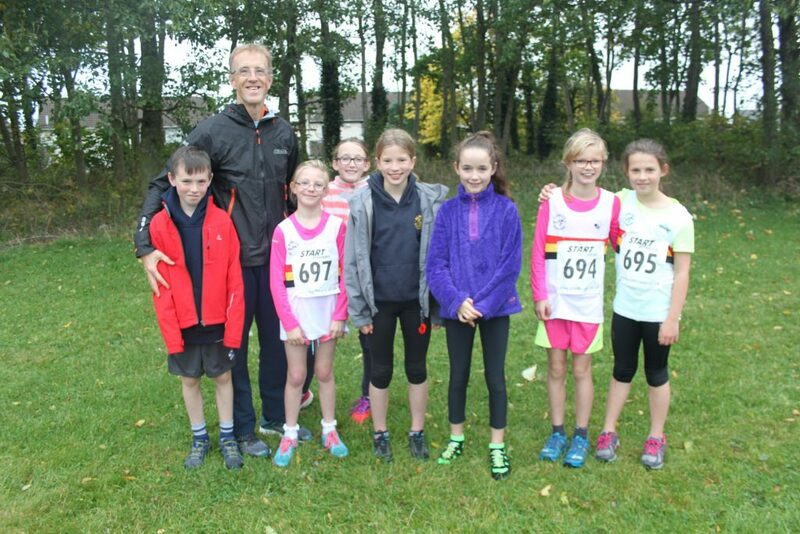 The Junior Harriers competed with great enthusiasm are sure to have more success throughout the season. 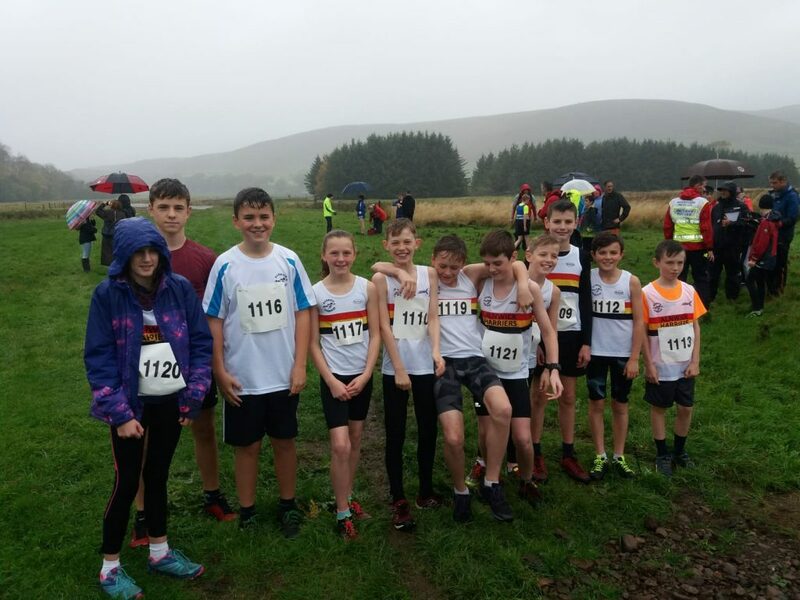 Despite the heavy rain nearly 90 junior and senior runners turnout out for the annual Alwinton Show Fell Race on Saturday. Alnwick Harriers fielded 15 brave runners with the 11 of them from the Junior section. There was a brief interval in the heavy rain for the start of the Junior race and they all set off at an enthusiastic pace. The first mile of the course is over relatively flat fields with a few gates to hurdle before the beginning of the main climb. Most competitors are reduced to a walk or crawl on the steepest section but the front runners could be seen to be still running as they entered the low cloud. A good fast path for half a mile along the top of the climb leads the runners into a steep descent back into the fields below. By this stage Junior Morpeth Harrier, Daniel Dixon had developed an impressive lead and won the junior race by nearly 2 minutes a time that would have secured him 2nd overall in the senior race! Ollie TELFER was second home for Alnwick Harriers and then Max MURRAY JOHN in 4th followed by Millie BREESE who had an excellent race to finish in 5th as first girl. There were some exceptional performances by the Alnwick runners but those who also stood out were Finlay WILDE in 6th and Under 11 runner Harry KNOX in 11th place! The four Senior runners raced next by which time the rain was falling hard. 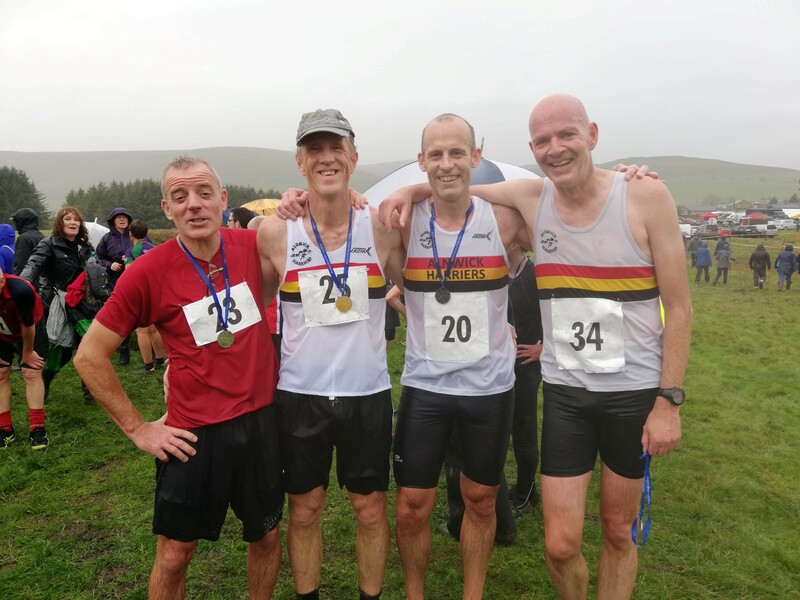 However this didn’t deter their enthusiasm and although not as fast as first three Juniors Mike TELFER, Rob MURRAY JOHN, Andrew WILDE and David HINDMARSH ran well to finish in the top half of the field of 63 strong field. Last week Talia THOMPSON was invited to the North East Athletics Grand Prix Awards evening at Gateshead International Stadium. The Grand Prix is a series of athletics meetings arranged on weekday day evenings throughout the summer. Athletes are awarded points for each event they compete in and how highly they place. Talia focused on the throwing events and had an excellent summer participating in the shot put, hammer, discus and javelin. She steadily improved during the season achieving personal bests and setting new club records. 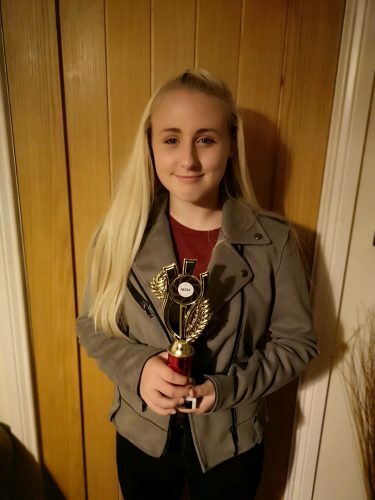 Tal won numerous events and scored highly in others, her combined score securing her overall championship victory by a comfortable margin in the U15 category. It is not common place for throwers to achieve a victory in this type of competition as they are limited by a narrow range of events. For Talia to achieve this as a first year under fifteen competitor as an excellent achievement.